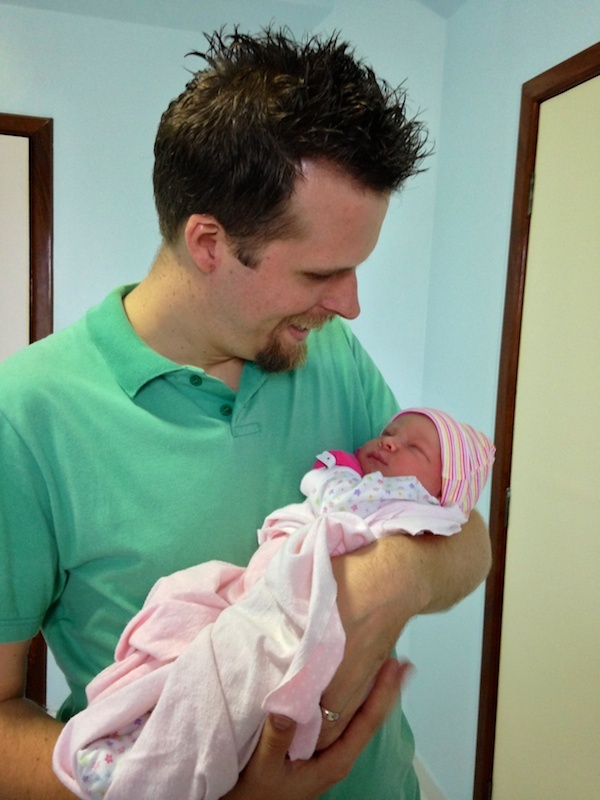 On Wednesday, June 26 at 8:45 a.m. at the hospital in Santarém, Sarah Faith was born at 3.5 kg (7.7 lbs)! We had marked the day far in advance. 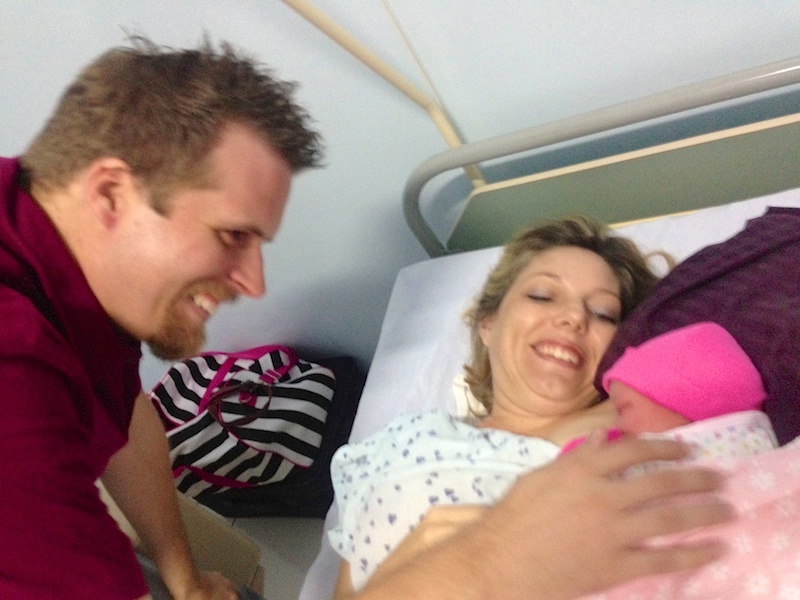 Ruth’s due date was still a week away, but due to past complications, everyone agreed it would be better to mark a C-section. And Ruth was SO ready to have the baby — she was a beautiful preggy lady, with a big, round tummy that almost looked like a perfectly round basketball was in there! Ruth and Becky ready for the birth! Ruth’s mom Becky went with her into the C-section while I stayed close at home with the kids. My dad and mom are not here right now — they are out on the rivers with a team from one of our home churches. The community they’re at is far out of contact from any kind of land lines, cell phones or internet service. They must be SUPER anxious to get back, hear how everything went and meet Sarah. I would have been NO help whatsoever in surgery — let’s just say that the sight of blood takes me out of commission! I can just imagine: the doctor doing the birth and then running over to catch me as I hit the deck! No thanks. Becky continues at the hospital with Ruth and Sarah while I take care of the girls at home. 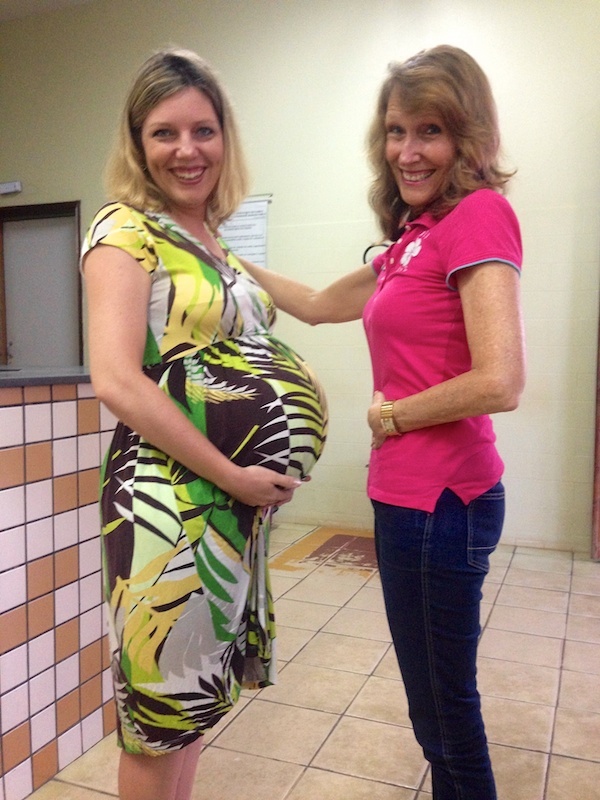 At our hospital here in Santarém, kids can’t go in to visit, which is unfortunate because Becca and Anna can hardly wait to meet Sarah and especially to see mommy again. 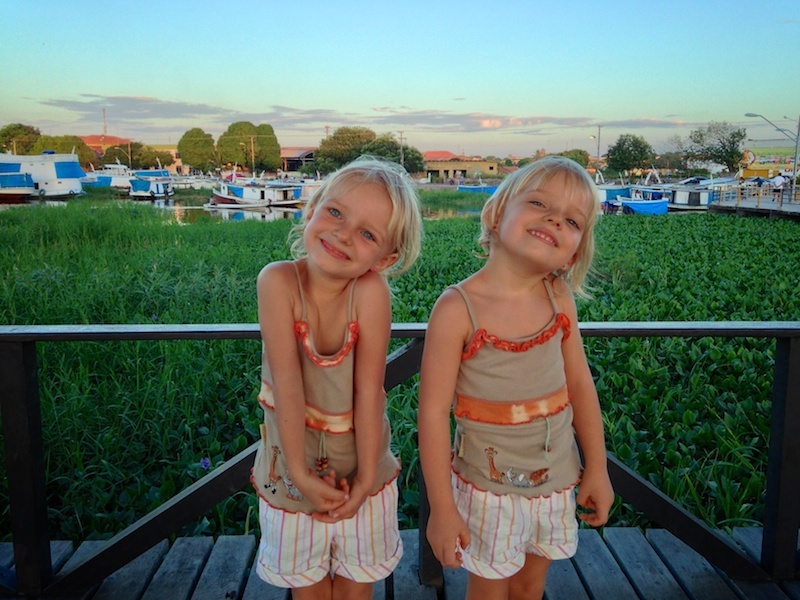 I record videos of Sarah and Ruth and play them back to the girls. They watched them both 4 times in a row! They know that they just have to sleep two more times (a nap and at night) until they get to see mommy and the baby. Daddy is also counting. Thank you SO much for your prayer and support. We appreciate you so much, and we ask for continued prayers for Ruth’s quick recovery and a quick adjustment here at home to our new family member. Praise God for His faithfulness!